Dr. Grabe attended San Diego State University, where he received his Bachelor of Science degree. He then obtained his doctoral degree from New York University College of Dentistry. After finishing dental school, Dr. Grabe moved back to the valley and completed a one-year advanced Post-doctoral General Practice Residency through Community Regional Medical Center, of Fresno. 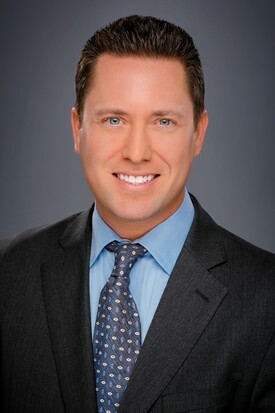 Dr. Grabe has received advanced training in Comprehensive Dental Treatment and Cosmetic Dentistry through USC, Aesthetic Continuum and through Frank Spear Education Continuum in Scottsdale; Speareducation.com. Dr Grabe has also been an active participant in a year long Spear's Study Group with local General Dentists, Periodontists and Orthodontists to obtain a greater understanding of dental cases from standard to complex treatment planning. Dr. Grabe is also a certified Preferred provider of Invisalign, which is a clear alternative to braces for adults and some select teens. Dr. Grabe is a member of the Academy of General Dentistry, the Fresno-Madera Dental Society, California Dental Association, American Dental Association and American Academy of Cosmetic Dentistry. Raised in Fresno and a graduate of Bullard High School, Dr. Grabe is actively involved in the Fresno community. He has participated many times in the Seal and Save our Smiles day, which is a program to donate dental treatment to underserved children in the local area. Dr. Grabe is an avid golfer, enjoys going to the coast and being active outdoors with his wife. Dr. Grabe is experienced in all aspects of General Dentistry. He is gentle and personable with every patient. He understands that the dental office isn’t always the patient’s favorite place, and strives to make each patient he treats comfortable and the procedures painless. He is also passionate about aesthetic, minimally invasive and preventive dentistry.